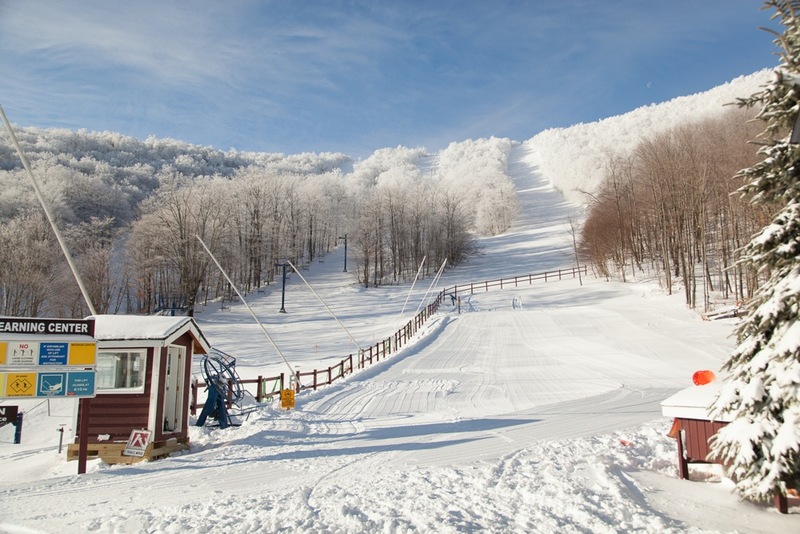 At Plattekill Mountain, NY, the ski season started off with a bang. The 3-day storm that punished the northeast with rain and snow held on to cold temps near the mountains of Roxbury. In the end we were left with a soft fluff that clung to the slopes with the tenacity of a much older base. 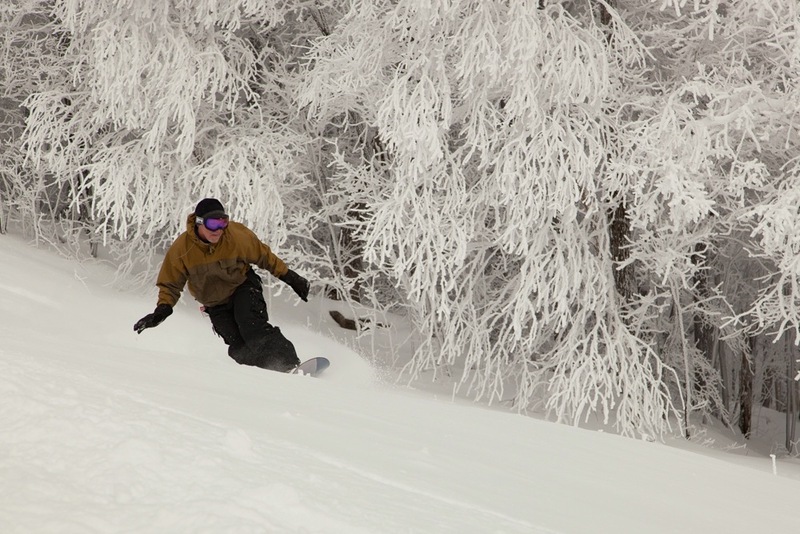 Taking advantage of early season rates ($35 thru 12/21), powder hungry skiers gathered early for a chance at shredding the weeks accumulation as the lift turned for the first time. Our group was wide-eyed and diverse. Korp, a Californian who last snowboarded at Whistler about ten years ago, didn’t know what to expect from the east coast. To ensure I didn’t over-promise, I merely insisted that he get his bags by the door before turning in. Waking up at 5:30am, it can be hard to pre-visualize an efficient early morning routine. Fiji also didn’t know what to expect. Despite living in NY his entire life he’d never been to the Catskills. After turning towards the mountains on Route 28, eyes began to open. The Burroughs Range was aglow in early morning light, balanced over the reservoir. The towns by the Esopus River were pure early season magic. Everyone was primed for a day outdoors. Once outside, local reporter Jen Kabat teased me about cutting the line, but I was catching up on official business with veterans of the NYSB tree skiing work party. This day had all the hallmarks of a legendary opening, with the only unknown at this point was the skiing itself. Once again Plattekill delivered. On our first run, Korp took a tumble or three in the soft snow on North Face, each time getting up a little more dusted and smiling ever wider. There was corduroy down skier’s right, but he couldn’t resist the ungroomed yelps and plumes that were following us down on the untamed left. By the end of his first day back on his board, Korp was in the zone. I’ve never had much interest in snowboarding, but watching an artist sign the blank canvas with a single plank was inspiring. Skiing next to his tracks, I could feel the flow he was enjoying. We went up to the bar and toasted with a freshly tapped keg Keegan’s Milk Stout. 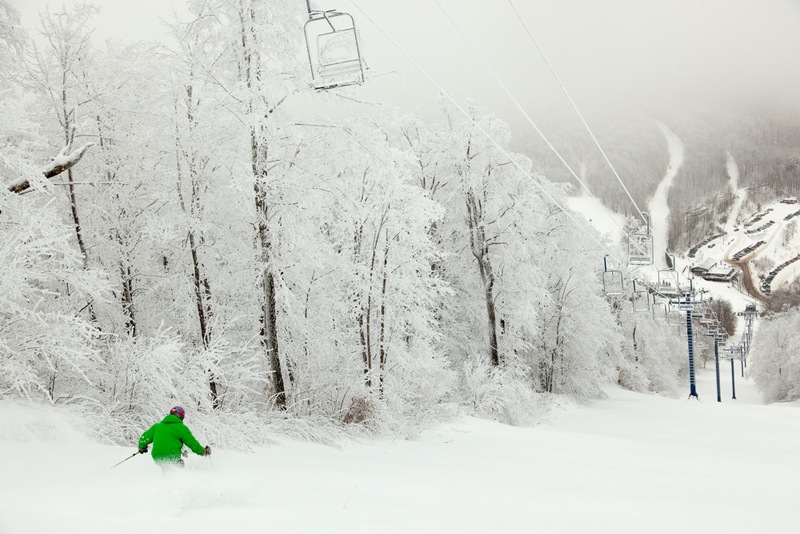 Skiers and riders enjoyed the unmistakeable soreness of a tired and happy body from skiing pow all day. 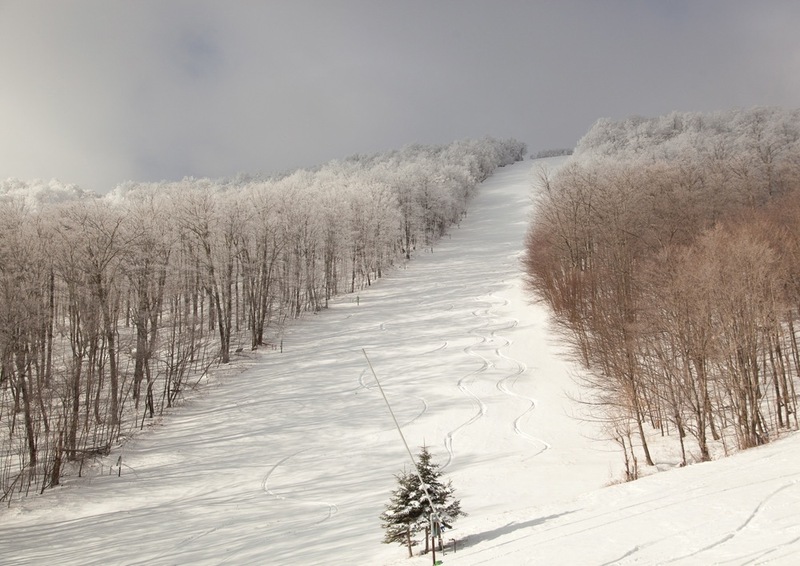 Cheers to Plattekill on a remarkable opening, and best wishes to all for a season to remember. Beautiful picture on the front page, but, unfortunately, it sits right next to a nasty rain front heading straight for the Catskills as I type on the weather radar box. We’ll add a link to the “You should have been here yesterday” thread. I got ants in my pants. Look at those trees. Beautiful! That looks so good! I would kill for some of that right now. As soon as I am out of school and out of debt I am going to fly east for a good cycle. Was so happy to be a part of it! 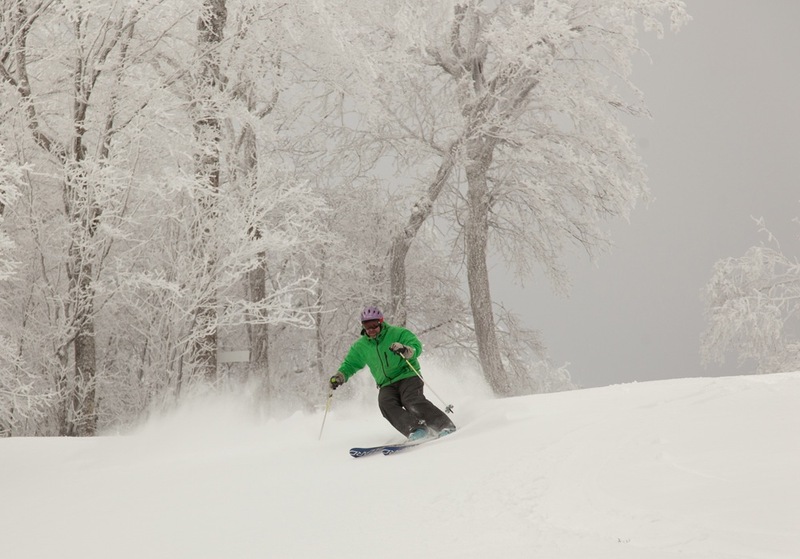 It was great to be able to hit some of that untracked double chair terrain. Talk about making it hard for an editor to pick photos. Thirty images submitted, all awesome. This is off the charts fantastic ml. The day looks historic to me. Plattekill needs to manage powder daize better however. 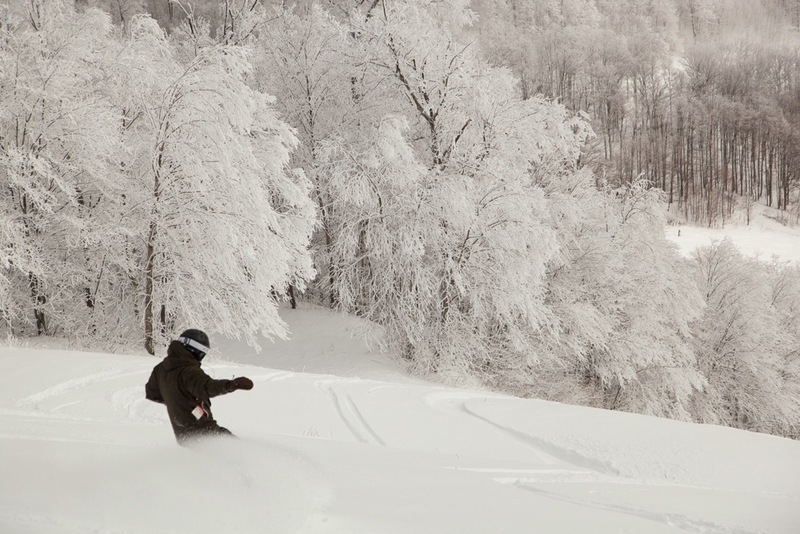 Don’t ski all the untracked powder, groom it, and then call for a “Powder Daize” the next day. That’s a bunch of BS but that’s just what they did on 2/3/15. Just fair warning to whoever’s making a 1+ hour drive to ski there. That’s from the site, you would prefer they were closed?